A Georgian Ticket for Vauxhall Gardens. 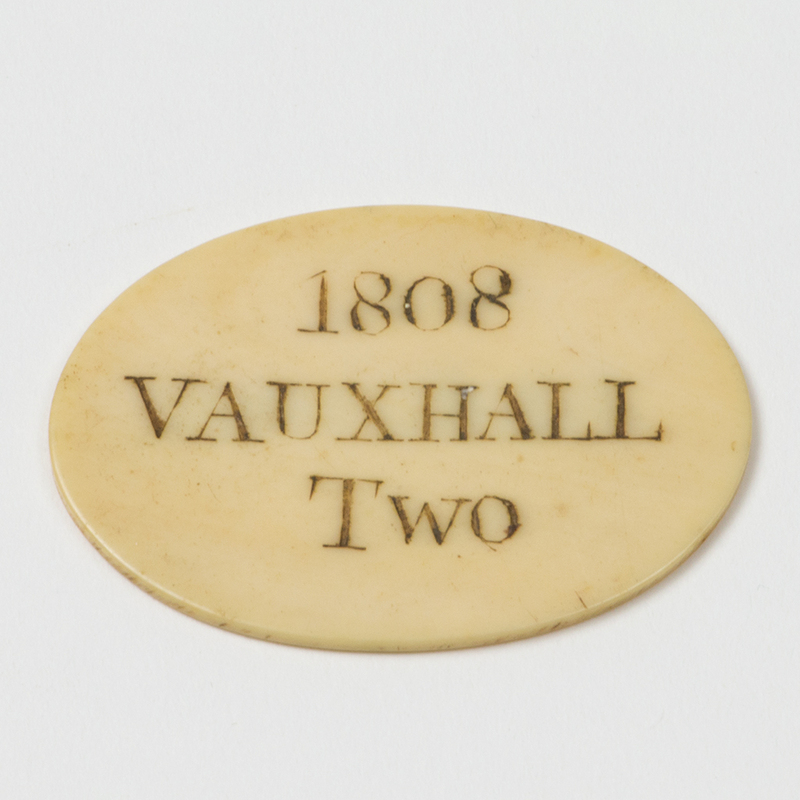 An oval ivory Vauxhall Gardens Ticket, engraved on one side ”1808 Vauxhall Two”, and on the other “Mr. Biven”. The Morning Post of December 8th 1836 carried a letter written by ‘H.E. 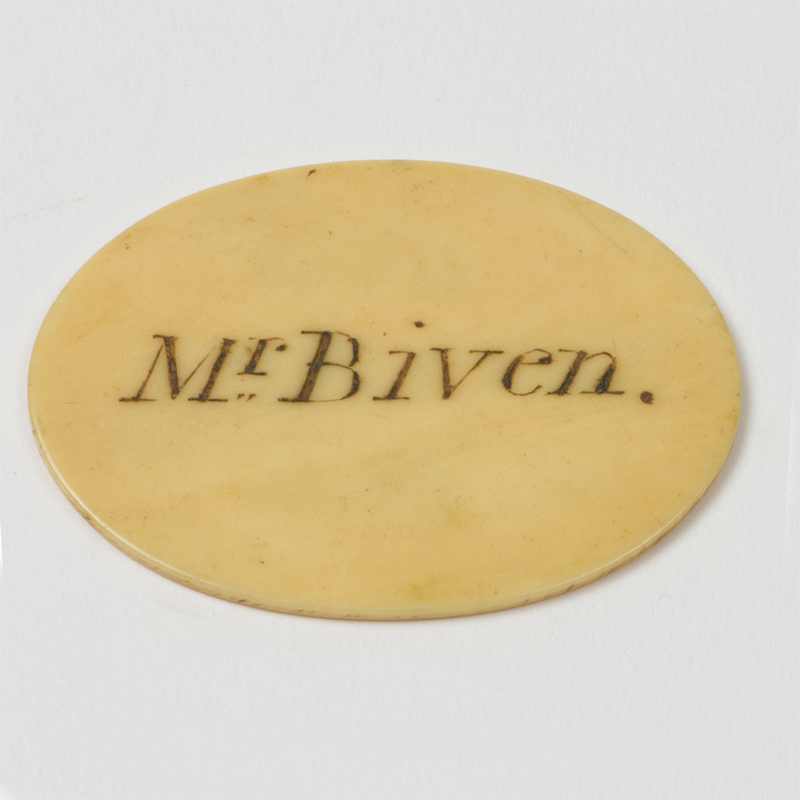 Biven, the Comic Singer‘ in which he states that he is the only singer of that name and has been in the profession over twenty years. A number of ivory tickets for Vauxhall Gardens survive for the year 1808. Send Enquiry for A Georgian Ticket for Vauxhall Gardens. Length – 5.50 cm. ; Width – 4 cm. ; Weight – 5.60 gms. 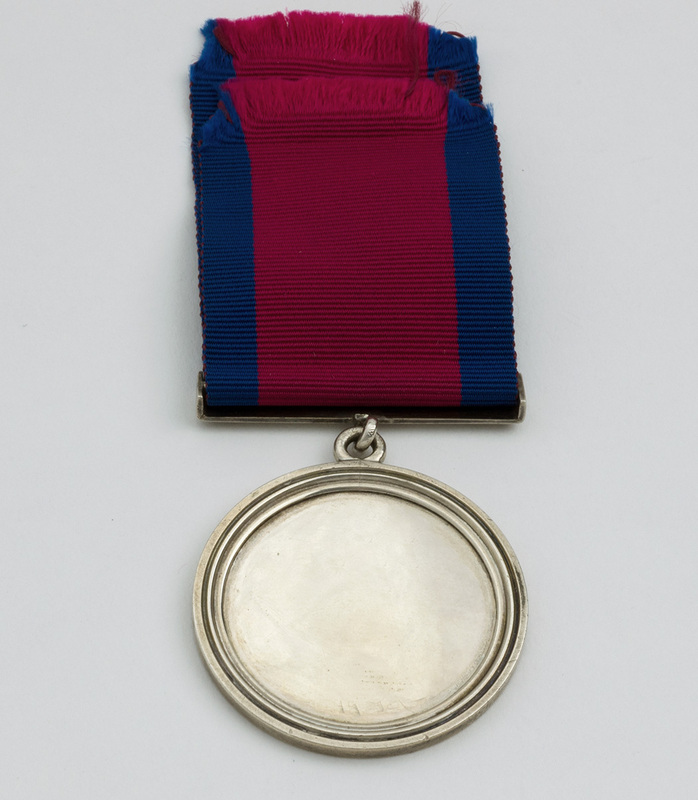 A Victorian silver Scottish Yeomanry Medal. 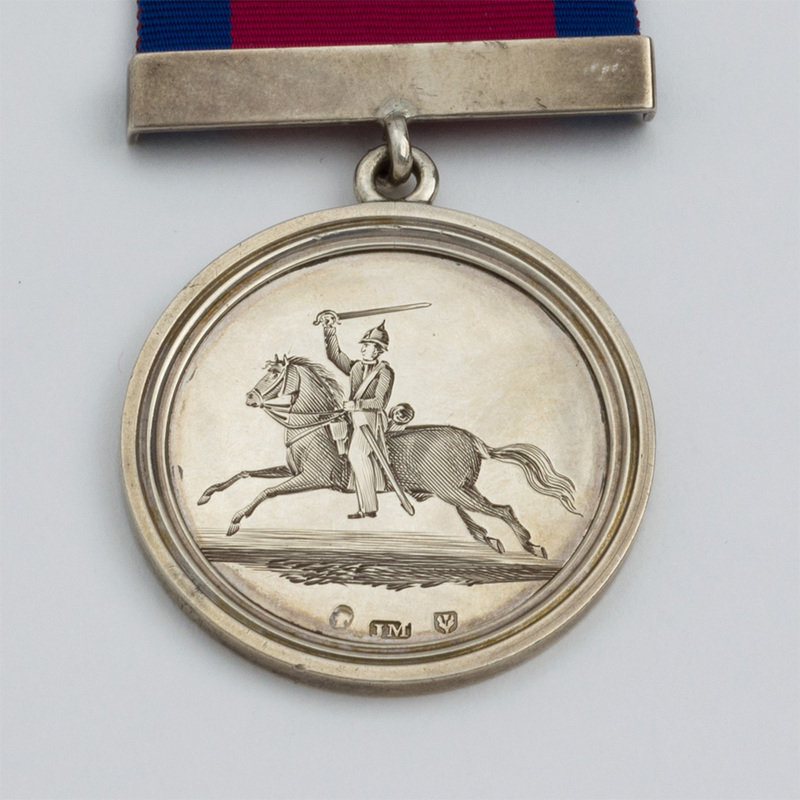 Send Enquiry for A Victorian silver Scottish Yeomanry Medal. 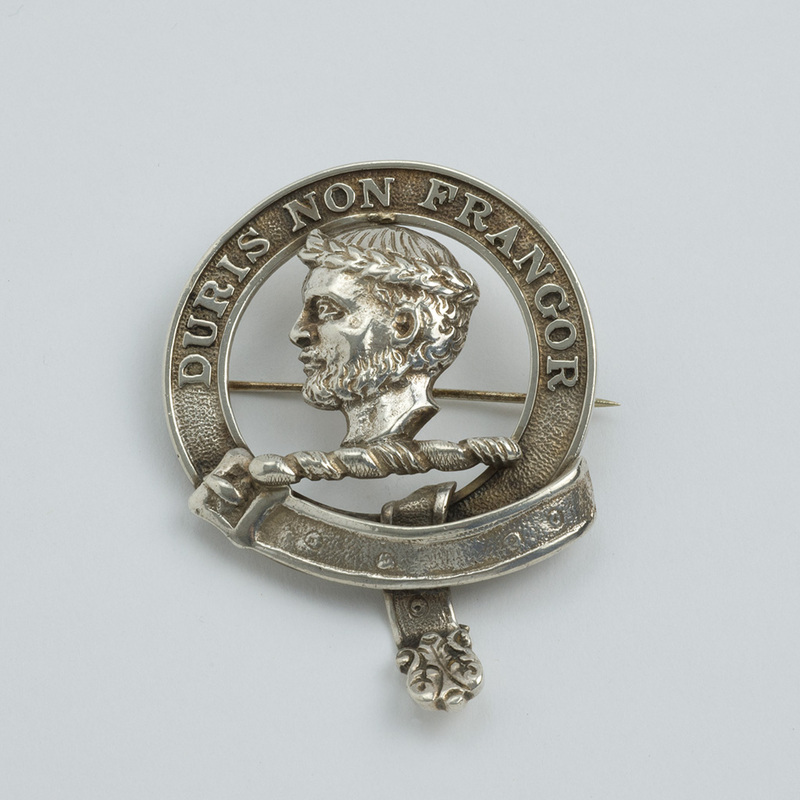 A Scottish silver Plaid Brooch. 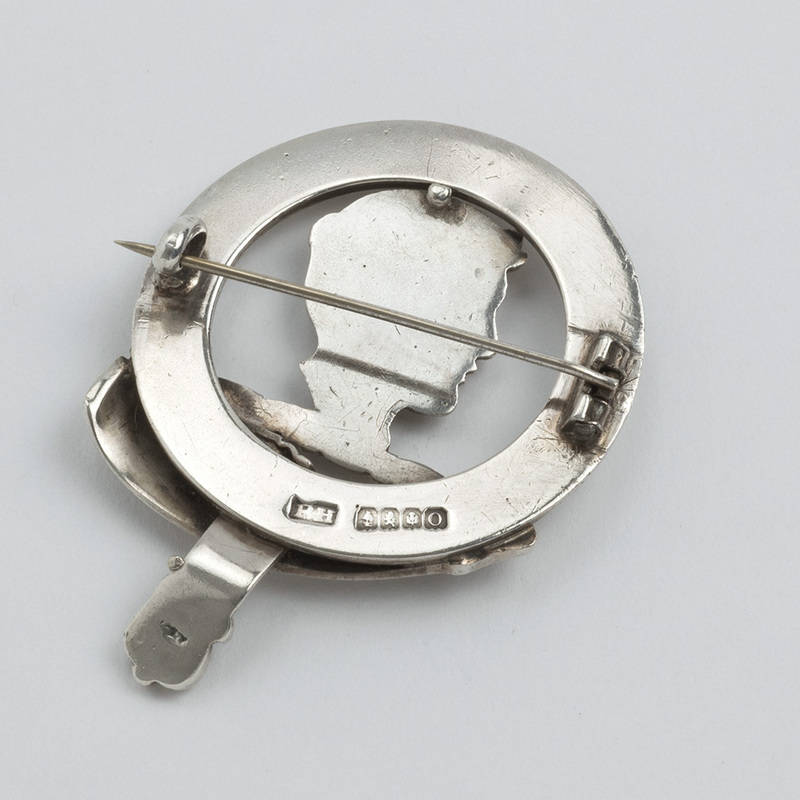 Send Enquiry for A Scottish silver Plaid Brooch. 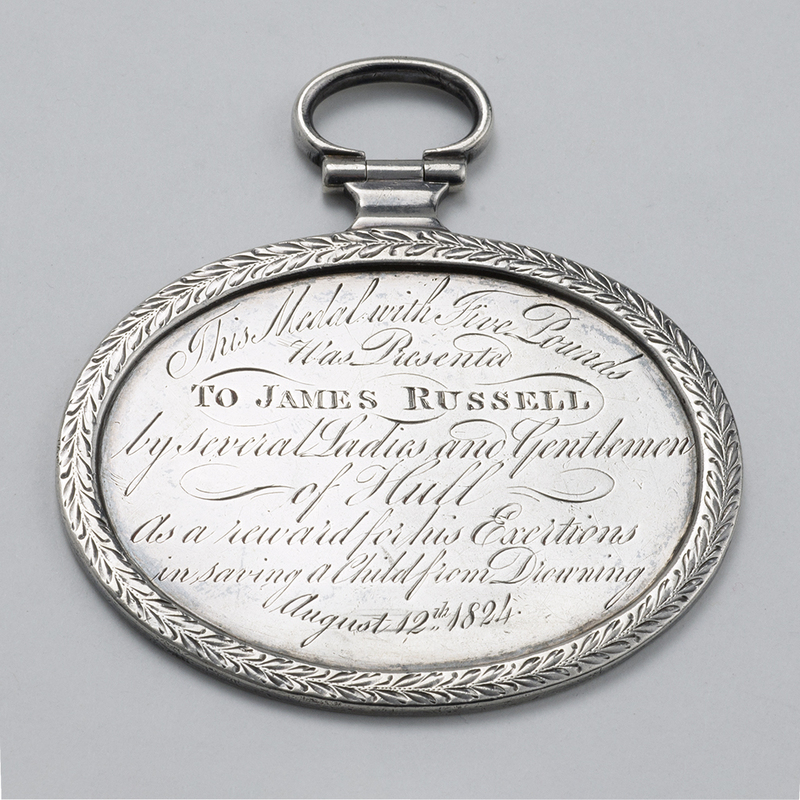 A Curious George IV silver Medal for Saving a Child. Send Enquiry for A Curious George IV silver Medal for Saving a Child. 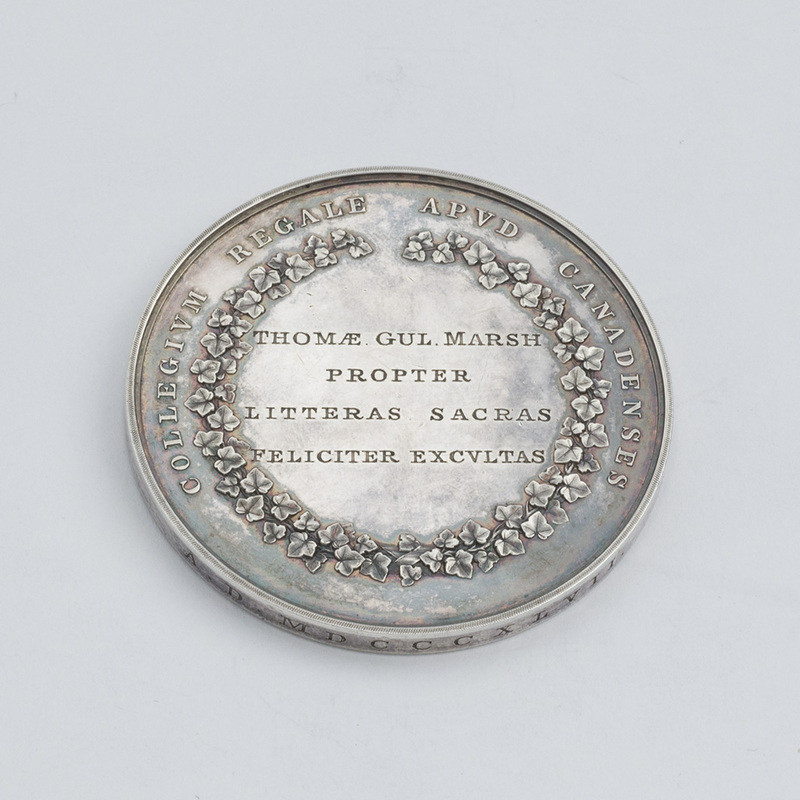 A Victorian silver Medal for Kings’ College, Canada. Send Enquiry for A Victorian silver Medal for Kings’ College, Canada. 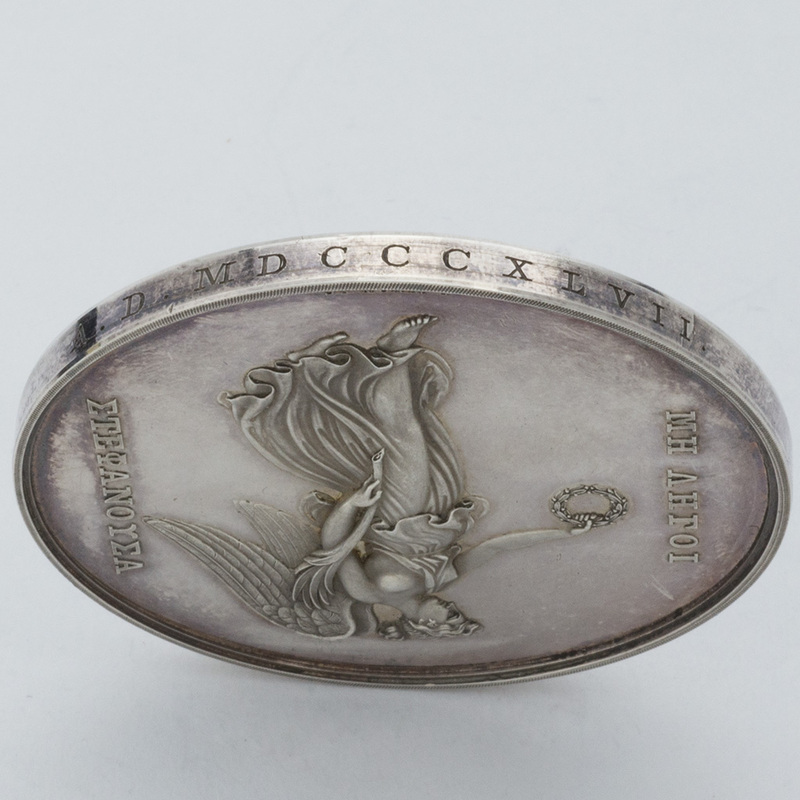 previous post: A Victorian silver Eisteddfod Prize Medal. 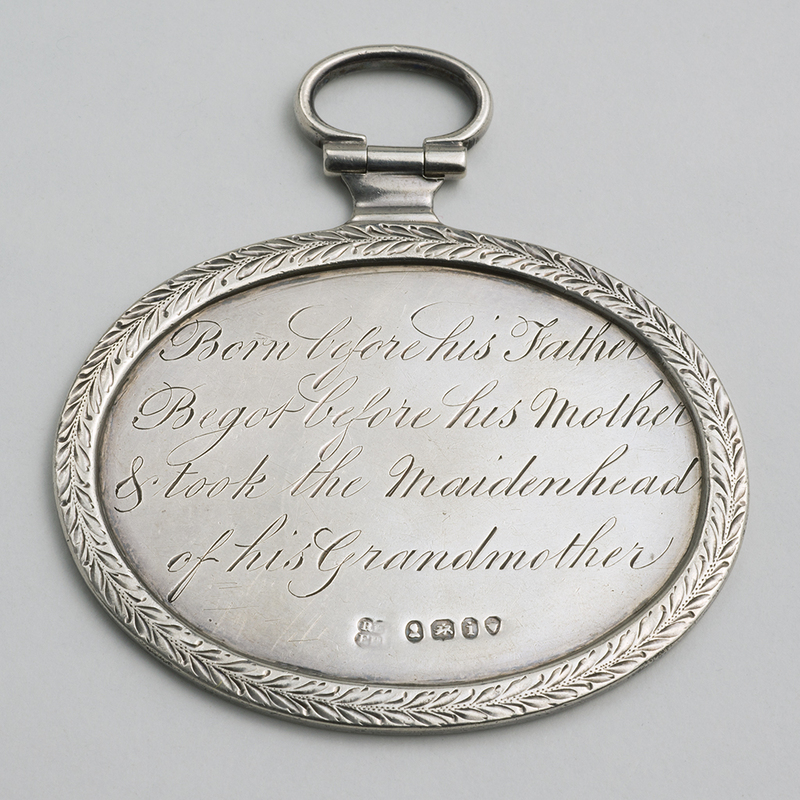 next post: An interesting George III silver Jewel for the Tewkesbury Lodge of Oddfellows.